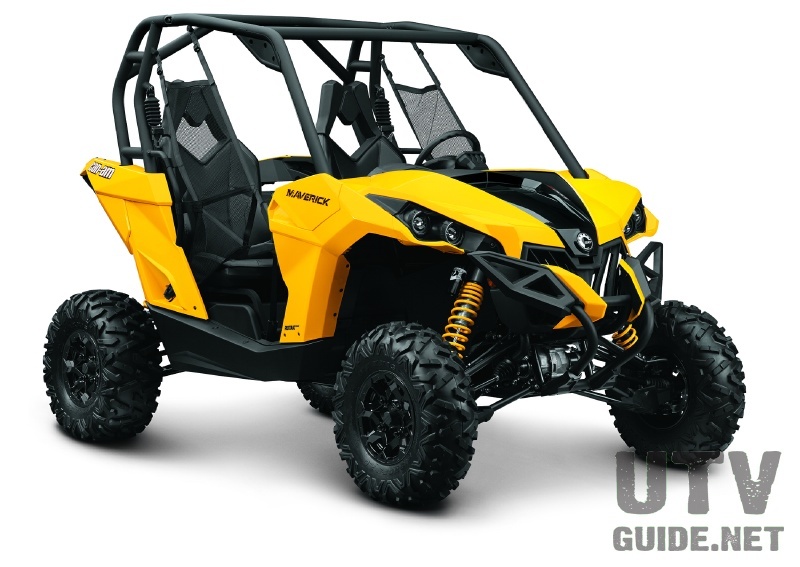 For the most up to date Teryx Long Travel information, please visit our buyer's guide on UTVGuide.net. Expect long travel kits from many of the companies that are already in the mix for Rhino long travel kits and Polaris RZR Long Travel Kits. As new products become available, we will update this page to stay current. Kawasaki Teryxs come stock with fully independent four-wheel suspension: Double-wishbones front and rear deliver 7.5" of front wheel travel, 7.3" of rear wheel travel and 11.2" of ground clearance. All very similar to the Rhino. 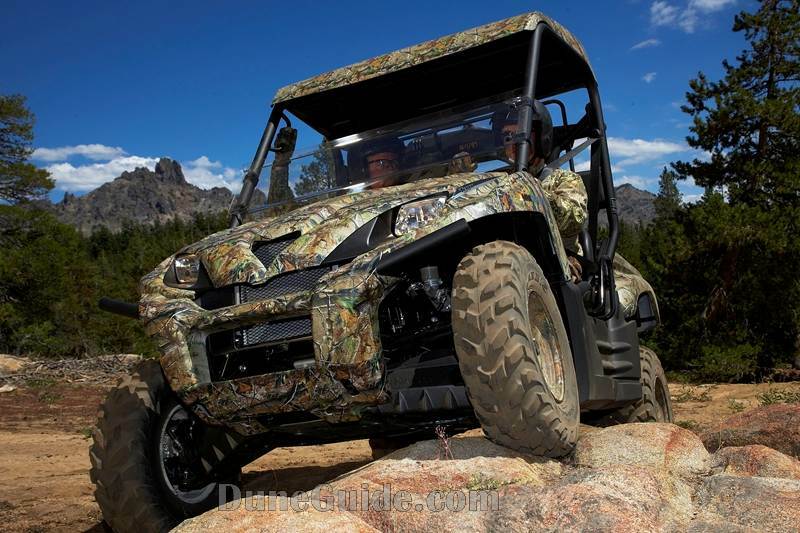 Teryx has a 75.8" wheelbase (same as a Rhino), a 115.7" overall length and are 58.3" wide (4" wider than a Rhino). 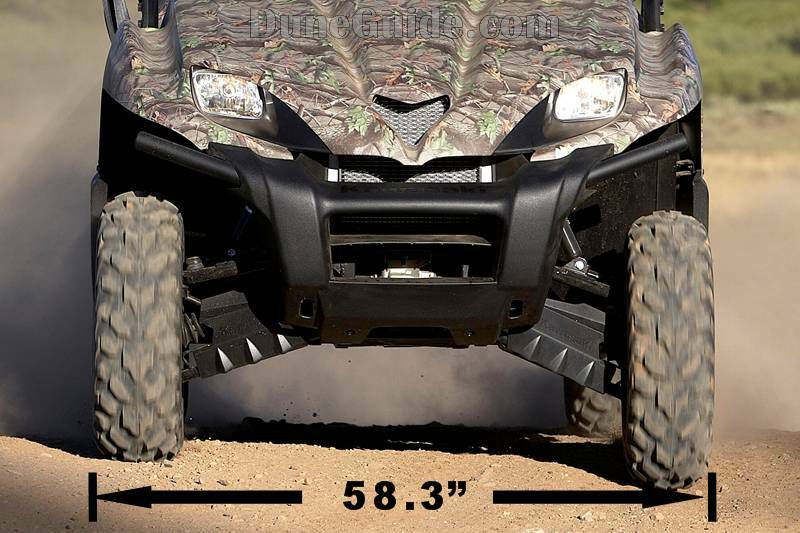 If aftermarket suspension manufacturers follow suit and offer +6" wider per side long travel arms for the Teryx, it would end up at 70.3" wide. That is almost 6 feet wide! 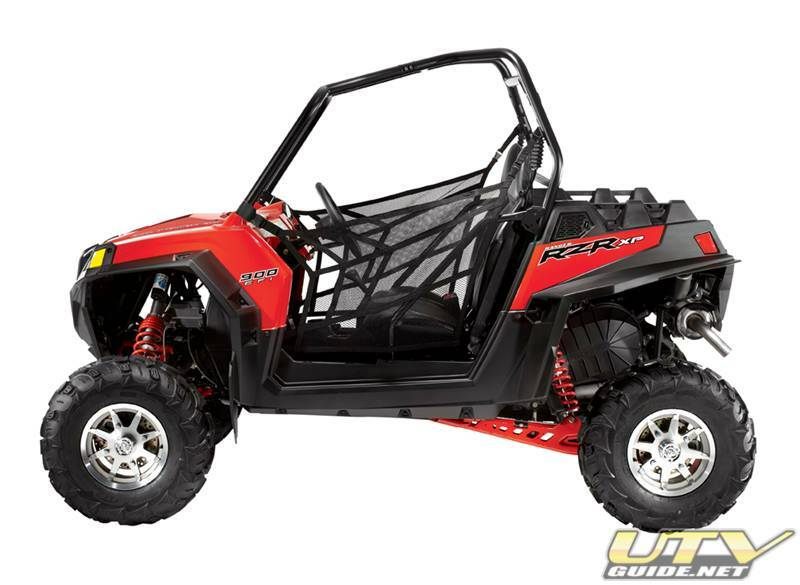 Rear suspension / wheel travel: Adjustable Independent Rear Suspension (IRS) with gas charged, reservoir shocks / 7.3 in. Although long travel kits are far from cheap, they are the best way to improve your Teryx's suspension. Approaching the goal of long travel in steps can result in more expense because stock length shocks will not work. It is a hard pill to swallow, but if you want to get to long travel, you will save money in the long run by waiting until you can buy a full long travel kit. If a long travel kit is just out of reach, but you still want to increase your track width for more stability in the dunes, you can try offset wheels and/or wheel spacers. Most of the long travel kits increase wheel travel, front and rear track width and stretch the wheelbase. Long travel kits will be available from several manufacturers. What is included in a Teryx Long Travel Kit? A-Arms - A few different types of a-arms are out there. Most are made from chromoly tubing, others are boxed, and a few are made from billet aluminum or mild steel. Each material type has pros and cons. Ask questions about why a particular material and arm design was chosen. A-Arm Hardware - Inner and outer a-arm hardware is typically replaced. The majority of long travel kits come with new bushings (Delron, Daystar, etc.) on the inner side of the a-arm, but some come with heims. On the outer or spindle side, some kits use heims, others use uni-balls, and a few reuse the OEM ball joint. There are pluses and minuses to each type of setup and quality can vary from heim to heim and bushing to bushing, so ask questions. Axles - When you extend the wheels out, you are going to need new axles. There are two approaches to this. The cheaper route is to reuse the stock CVs and just replace the axles. The more expensive route is new axles and CVs. Many builders use Gorilla Axles & CVs. Stepping up to Gorilla Axles & CVs will increase strength and is much easier to install. The cost to step up to Gorilla Axles and CVs varies, but expect to pay up to $1,500 more. Tie Rods - Some kits come with tie rod extenders. A few come with new tie rods. Shocks - All of the kits include new coilover shocks. Several shock manufacturers have developed RZR specific shocks, so there are many options and prices out there. Long travel kit manufacturers will tend to have a favorite. If you don't want to mess around with shock valving, stick with what the manufacturer recommends. Shock selection can greatly affect not only the cost, but also the performance of the kit. Front Shock Tower - Optional front shock towers that raises the upper shock mount location and allows for a longer shock and more wheel travel. Some welding may be necessary. Spindles - Stock spindles aren't typically replaced, but a few manufacturers are now offering new spindles as an option. If you race or like to jump, you should look into new spindles. Frame Gussets - Long travel kits put more stress on the factory mounting locations. Several manufacturers are now offering bolt-on or weld-on gussets to help beef up the stock frame in critical areas. Does the kit affect ride height? This not only affects how the Teryx will handle, but also if it will make it inside your toy hauler. Make sure your kit is "bolt-on" with no welding required. Will my OEM wheels will fit? Will the OEM rear sway bar work? Does the kit put extra stress on OEM parts that do not get replaced? Please Note: All photos Copyright © 2004-2007 Crowley Offroad LLC or used with permission of the manufacturer. No images or content represented on this web site may be copied, stored, manipulated, published, sold or reproduced in whole or in part without express written permission. If you manufacture long travel suspension kits, axles, spindles, gussets or shocks for the Kawasaki Teryx, and are not on this list, please send us an email with your company details. If you manufacture or sell parts and accessories for Kawasaki Teryxs, and are interested in being listed, please send us an email. A link to www.DuneGuide.com and www.UTVGuide.net from your website is always appreciated.